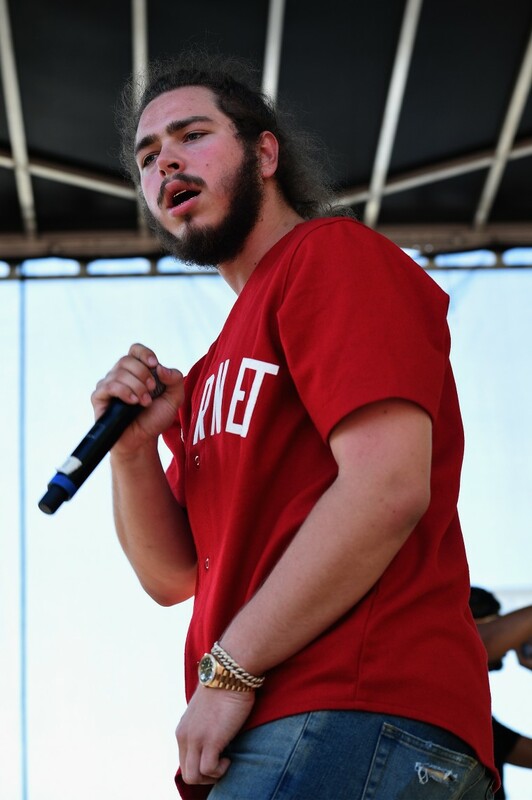 Post Malone's breakout hit, "White Iverson," is climbing the charts: on the most recent Hot 100, it's at No. 46, and it reached No. 17 on Hot R&B/Hiip-Hop songs. Yesterday the singer/rapper gave Genius a remarkably detailed explanation of the song's lyrics. "I go back and watch A.I. 's old games with the Sixers, the highlights and all that good stuff," Malone noted. "He was the coolest. He was number one, has always been my favorite. He is really inspiring." Malone also discussed his connection with Kanye, which resulted in "Fade." 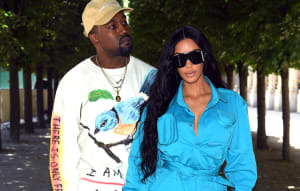 "I met [Kanye] at Kylie Jenner's party," Malone wrote. "And Kanye was like, 'Let's make something.' So I went over to Ye's and we just started working and then we just started talking. And we just kept on going. I went in the studio with Kanye and we just recorded the scratch vocals and then I wrote over it... He was just a normal guy, like me, and super cool. He was wearing all camo, just all camo. He was very quiet and he was very, very humble. Me and Ty [Dolla $ign] are cool. We are about to get in the studio and work, too." Find out how Malone became the most random success in rap.